This is One of Our Biggest Giveaways and You Won’t Want To Miss Out!!! Package includes two-night room accommodations for two people, tickets to Cirque Dreams Holidaze, tickets to ICE! 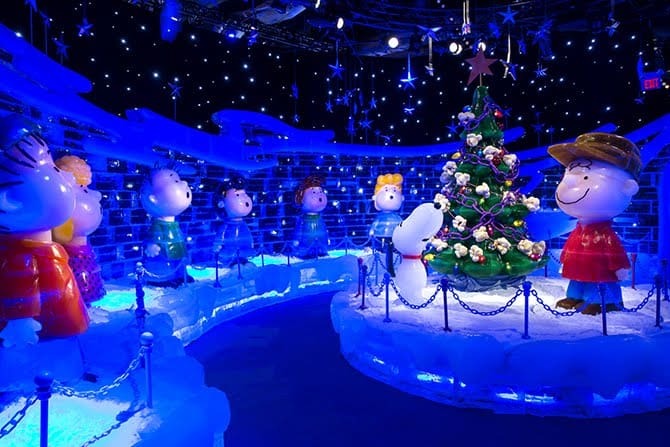 featuring A Charlie Brown Christmas, tickets to Diamond Rio Holidays & Hits Dinner Show, two tickets for a ride on the Delta Riverboat inside Gaylord Opryland as well as applicable taxes, daily, self-parking, and daily resort fee. Packages are valid (Sunday-Thursday), November 19-December 25, 2017 based on availability. To enter fill out our form HERE and to follow our Facebook Page and our Instagram to watch for the winner!